Level: Moderate with electric bike, from 3 to 6 hours per day. Arrival at Vaison la Romaine around noon. Free lunch. Evening arrival to Bédoin’ accommodation and welcome by your hosts. Morning departure from Bédoin to the plateau of Sault through the beautiful gorges of the Nesque, classified Reserve of Biosphere. 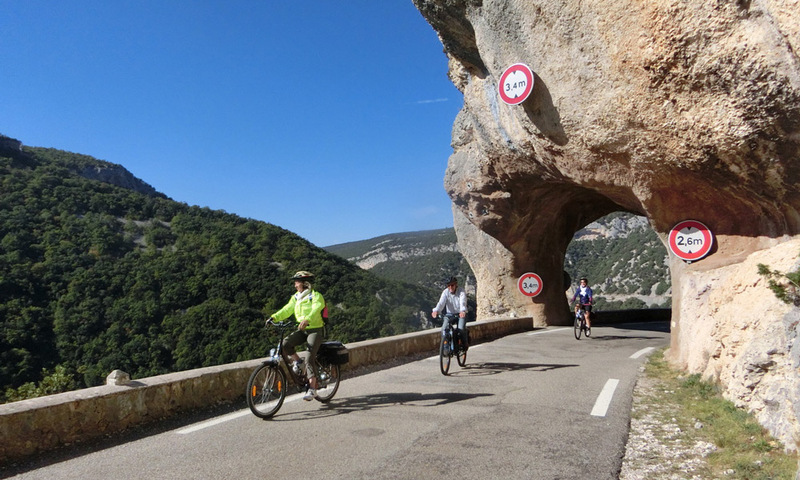 After the Verdon Gorge, the Gorges of La Nesque are the most spectacular of Provence: this canyon about 12 kilometres long by the Nesque and exceeds 400 metres deep in some places. Arrival at Monieux you will discover the Val de Sault, its scent of late summer, the terrain that surrounds it and giving this country a pleasant feeling of being protected in a jewel case. Evening arrival in Sault and welcome by your hosts. Morning you hit the road to discover Ferrassieres, small village on the edge of the plateau of Albion at 1000 m altitude, known for its production of fine Lavender. Your tour continues to the village of Montbrun-les-Bains, known for its thermal waters. Noon arrival at Montbrun-les-Bains and welcomed by your hosts. Free time for lunch. Afternoon choices: Discover Montbrun and its surroundings in complete freedom, or relax from 14: 00 to the thermal Spa (optional). Morning your last step around the Mont Ventoux will bring you back to the starting point of the circuit. The wild Toulourenc valley will change you, on the slopes you will discover new villages like Brantes. 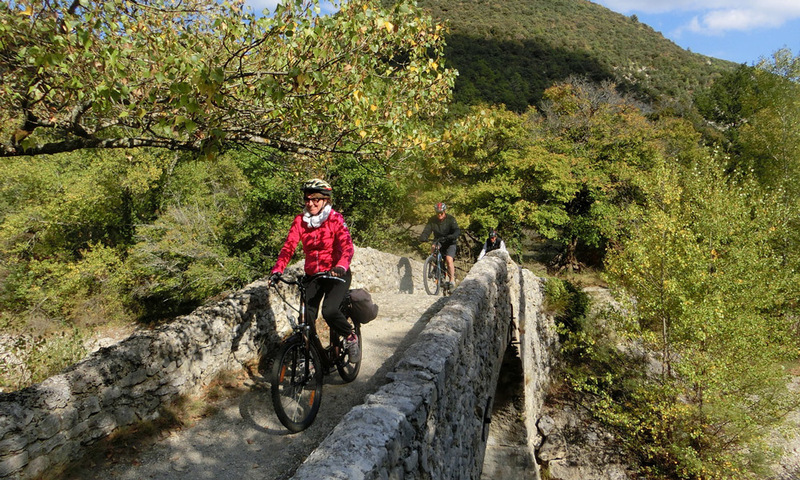 After the panoramic lunch break, are the villages of Mollans-sur-Ouvèze and Entrechaux, which will be the last checkpoints of your electric bicycle trip. The program is not fixed and situations beyond our control can change the course. On-site, our guides may change the route depending on the weather or if the safety of the group requires.